Rub a dub, dub - add these bugs to your tub! Scoop 'em up for bathtime fun. 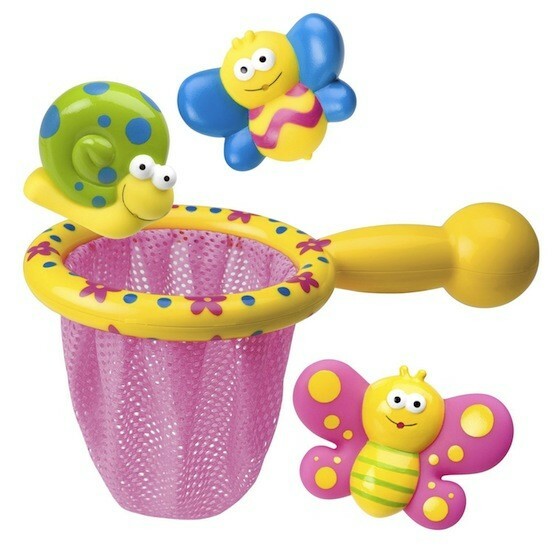 An easy-to-grab net and three beautiful buggy squirters makes getting clean a giggly good time. These bath toys are colorful and phthalate-free.